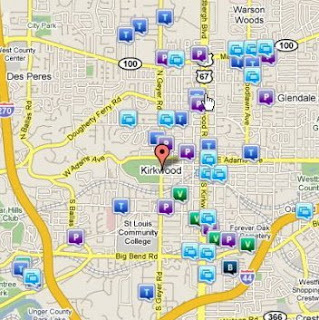 This months Crime Report is for the Kirkwood MO municipality. November 1 - 17, 2008. Breaking & Entering is direct evidence of forced entry. Property Destruction is direct evidence of damage to property by forced entry or other damages to site. Robbery is direct personal crimes like holdups. Larceny is "taking and carrying away of tangible personal property of another by trespass with intent to permanently (or for an unreasonable time) deprive the person of his interest in the property." Larceny includes property entries with no signs of forced entry, including unauthorised key holders. Fraud is evidence of forgery and other frauds. What Brands Of Locks Do You Recommend? Being in the locksmith business, I am obviously asked often for recommendations on types and brands of hardware. Having been in the industry for over 25 years, does not necessarily make me an expert, but having used and installed many different brands over the years, I do have my favorites. Previously to the last 3 years, I worked in the USA almost 20 years ago and the products available back then were significantly better quality than what is generally found today. Recently, I have been quite impressed with the Cal-Royal brand of products. In fact my signature product Bilock, uses a Cal-Royal brand deadbolt as it's choice of hardware to re-brand with the Bilock name because of the superior quality of manufacturing, the ease of installation and the aesthetic finishes of the trims. Pictured here, is the HIL series residential entrance kit. Pictured here, is the Genesys Series commercial lever sets. Pictured here, is the M series commercial mortise lock. There are many choices today when selecting hardware for your applications. This is but one choice worth considering. 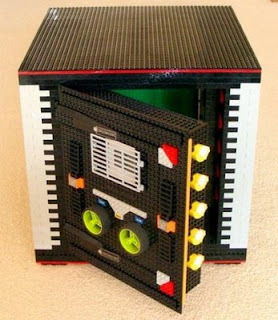 You might think that a Lego safe would be easy to open. Maybe just remove a few bricks and you’re in. But that’s not the case with this thing, the cutting edge of safe technology. The safe weighs 14 pounds and has a motion detecting alarm so it can’t be moved without creating a huge ruckus. The lock takes five double digit codes to open it. That's into over 305 billion different combinations. It even boasts an electronic status display showing the numbers as you turn the combination dials. When you enter the combination, the door electronically opens itself. It’s a great place to store all of your valuable geek stuff. Check out a video below. Kwikset have just released this new elegantly designed combination/key deadbolt lock using the recent Smart Key cylinder product. The Smart Key cylinder product is so designed to mimimize the threat of key bumping that has gained much notoriety in society today. This new design does not require the additional hole drilling that some other (more expensive) brands require. You can plainly understand the benefits of this product. No need to hand over a key to your cleaner or tradesman, simply give them a code for entry. When their task is completed or they are no longer in your employ, simply change or delete their code. Available in Venetian Bronze, Lifetime Brass and Satin Nickel. Pictured below is Bilock's Rim cylinder. This is the type of cylinder that you will see used for surface mounted locks like panic exit devices, gate locks etc. Here you can see the technical drawing dimensions of Bilock's Rim cylinder. Pictured here is a typical application of Bilock's Rim cylinder. Bilock Rim cylinders sell for about $125 each. Interest in Bilock products certainly seems to be increasing, at least for me. I am seeing a significant increase in stock movements, which leads me to write todays piece. 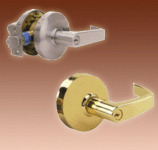 Pictured to the left is Bilock's Schlage cylinder. 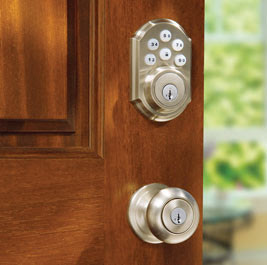 This cylinder is designed to retro-fit in almost the entire range of Schlage products. 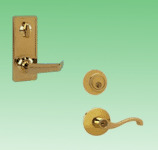 Schlage products use varying length and style connecting tail-pieces, to suit their broad range of products. 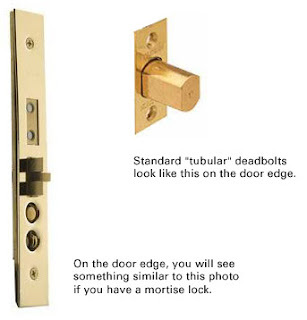 In the residential market, the cylinders are generally all the same with varying types of connecting tails for the different models of deadbolts and entrance locksets. 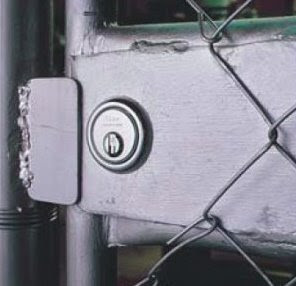 Bilock's unique ability to design it's cylinders, maintaining the highest standards while using original hardware, offers customers a significant advantage and savings by negating the need to replace the hardware. Example: Yesterday, I was called to a property to change locks. The customer required restricted keys to prevent unauthorized duplication of keys. All existing locks were Schlage brand. I was able to maintain using the existing hardware and simply replace the inner cylinders only, maintaining the existing character and aesthetics and significantly limiting the expense normally required for new locks. Result: 100% Fully secure, bump proof, pick proof locks with keys that can only be created after receipt of a correctly authorized letter. 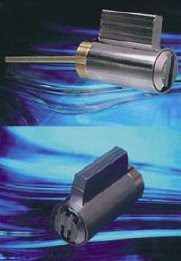 Pictured to the left are the technical dimensions of the Bilock Schlage style entrance cylinder. Bilock Schlage type entrance cylinders sell for about $70 each. This excellent product would appeal to apartment dwellers who desire the protection that an animal can provide but without the food bill and cleaning or walking that needs to be done for it's upkeep. The Robo-Dog Barking Alarm Kit simulates a real, angry dog barking, making it the perfect watchdog for anyone home alone. Use the included Keychain Remote to scare off intruders at the touch of a button! Protect your home while you are on vacation! Take it with you! Renters this is an excellent security system for you! It moves with you! Use Robo-Dog while you're away! Built -in X10 transceiver ! 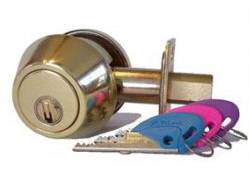 Many people are unaware as to the differences between residential and commercial lockset backsets. 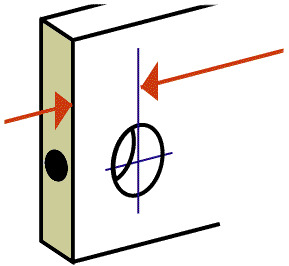 The "Backset" is the distance between the edge of the door and the center of the keyhole. Many latches and bolts (commonly referred to as "backsets" in the trade) are available in adjustable lengths for the residential market. Commercial backsets are supplied in as above, standard. Should you require a different backset length, you need to be very specific when you order. There are also various times when a 5" (127mm) backset will be requested. These are usually for significantly more expensive and better quality mortise vestibule type locksets, although some residential brands also manufacture these lengths. Likewise, you can specially order backsets that enable "center of the door" fittings. 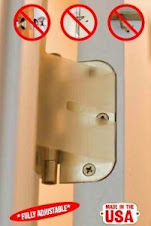 This enables a residential door to have the handle positioned in the center of the door. 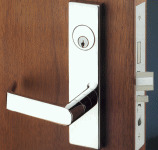 Sometimes the aesthetic appeal of a center mounted handle, can add significant value to the look of a door. 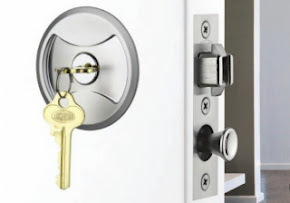 Determining the type of lock you have on your door can greatly assist your locksmith professional to determine the better course of action for repair or replacement of the hardware on your doors. Understanding the differences between lock styles is fairly simple and easy for anyone to distinguish. We will try to describe some of the popularly found lock styles in this and future posts, to assist customers wishing to source for repair or replacement products. These are the commonly used cams found on the back (rear) of most threaded mortise cylinders. Identifying this cam on your cylinder requires you to remove the cylinder from the door. This is a brief diagram of a standard mortise type cylinder found in commercial and residential vestibule mortise locksets. The critical measurement here is "C", where by the length of the cylinder determines the width of your door. It is necessary to remove this cylinder from your door, to be able to determine the correct length. Standard lengths are 1.125" & 1.25". Special order cylinders can be purchased in longer lengths if required. 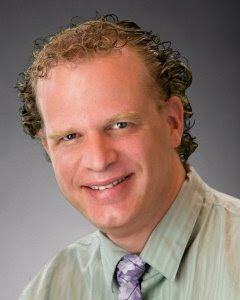 We strongly recommend the services of our colleague Patrick Chapman of St Louis Lock & Key (314)494-2510.